Shark was seriously scary. His eyes were dark and scary. His teeth were sharp and scary. 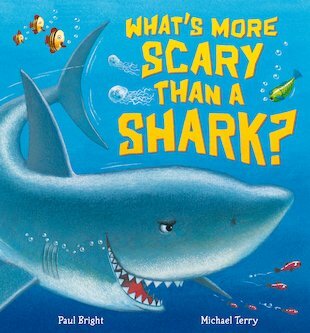 There was no doubt that he was the scariest thing in the sea – until Sadie the shark swam along. Suddenly Shark’s scary smile went wobbly, and his sharp teeth went chitter-chatter! Shark was in love! 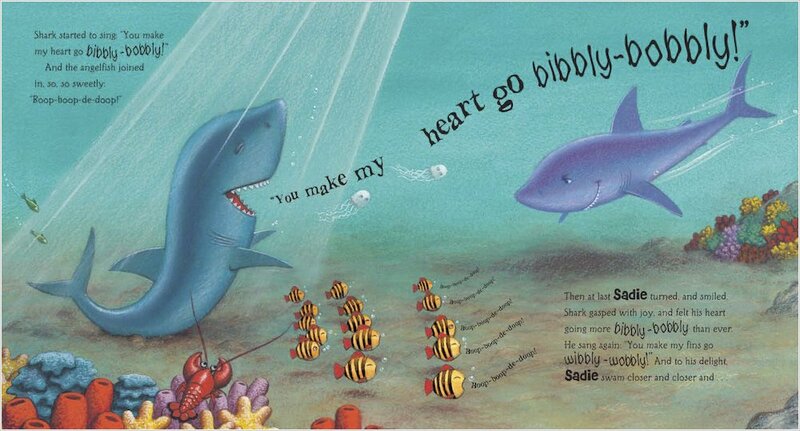 With the help of a lobster, some seaweed and some singing angel fish, can Shark stop being such a soppy-socks and win the heart of his true love? 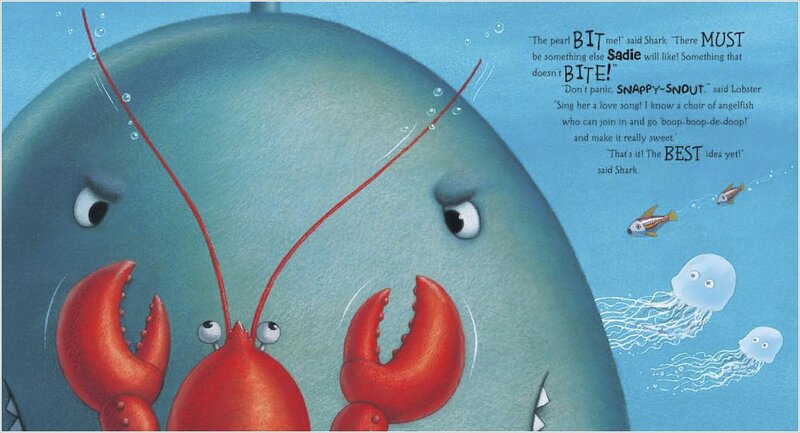 Brimming with hilarious characters and vibrant ocean colours, this is an undersea love story – with bite! Michael Terry is the writer and illustrator of lots of animal picture books, like the best-selling Selfish Crocodile.